There are three steps electricians need to take to get their journeyman electrical license or their master electrical license. First you have to turn in your application to your state’s licensing board. For example, in Texas, you must go through Texas Department of Licensing and Regulation (TDLR). 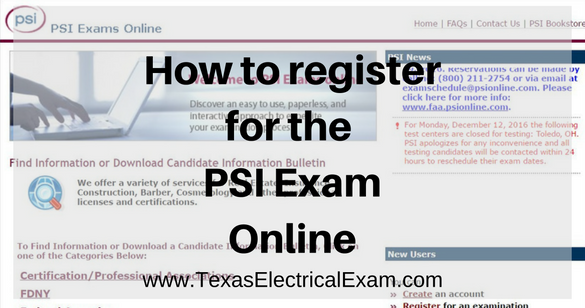 Once your application is reviewed and approved by TDLR, you must register for the electrical exam with PSI. 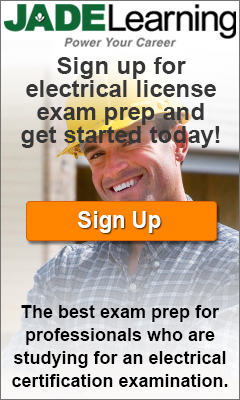 The final step is taking the electrical exam and passing with a minimum of 70%. Here is everything you need to know about scheduling and paying for your electrical exam with PSI Exams. PSI Exams is the test administrator for several states including Texas, California, Oklahoma and more. For tips & tricks on taking and passing the electrical exam, click through our blog or enter a keyword on the search bar above. Contact phone numbers - If there is an unexpected event, we will use these numbers to contact you. Mailing address - Please provide the address to which you would like your score report or other important information mailed. E-mail address - Once again for contact purposes, this is often the fastest and most effective means of communication. Many licensing authorities or sponsors require e-mail contact information for registration. The testing centers' primary purpose is to administer exams. Candidates should visit our website or contact our Candidate Service Center to schedule an exam appointment. Test center staff are not able to schedule appointments for their test center under any circumstances. If a fee is required to pay for your examination, generally PSI accepts Mastercard, Visa, Cashier’s Check, or Money Order. If a fee is required to pay for your examination, your credit card will be charged immediately when submitting the card number online or by phone with a Candidate Service Center Representative. If a fee is required to pay for your examination, you can print your receipt by logging into your account and then choosing the View/Print Receipt option. Email us at scorereport@psionline.com and request an exam receipt be mailed to you. How do I determine the fee for a particular exam? Posted in Exam prep and tagged 2011 nec test, app for electrical calculation, app for electricians, code book index with page numbers, electrician testing, free electrical books, free electrical exam questions, journeyman psi exam., last psi exam test, master electrician, texas journeyman exam.